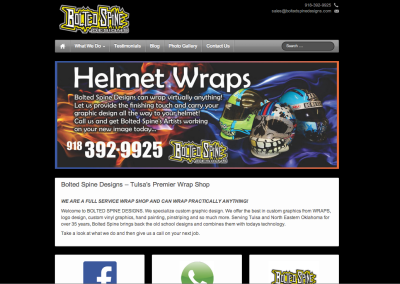 Tulsa, Oklahoma based Vehicle Wrap Company Bolted Spine Designs had a website – But were nowhere to be found on Google. 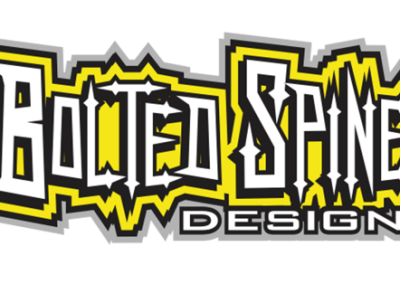 Bolted Spine Designs owner, Rick Reavis is very active on Facebook, so lots of his customers were coming to his site on mobile devices through his Facebook postings to check out examples of his amazing design work. Unfortunately the experience on these devices was not very good. 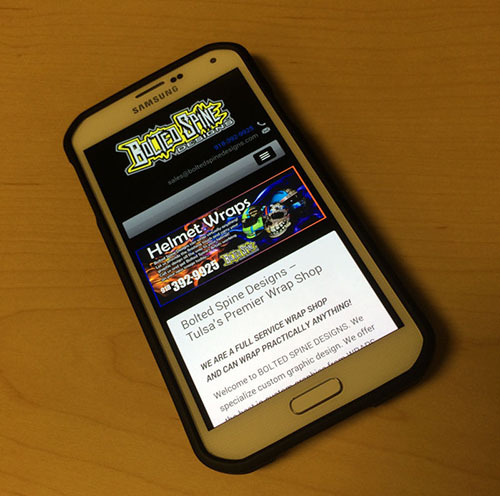 Uilabs set to work and created a new site based on the WordPress Content Management that leveraged great Responsive Design to ensure his work looked it’s best regardless of the device the visitor was using… iPhone, Android, Tablet, PC… Kindle Fire – No Problem! 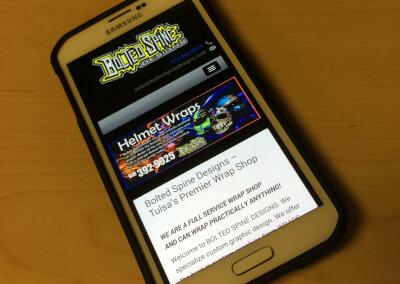 Using the latest design techniques, we can create a single website that works on virtually any device! 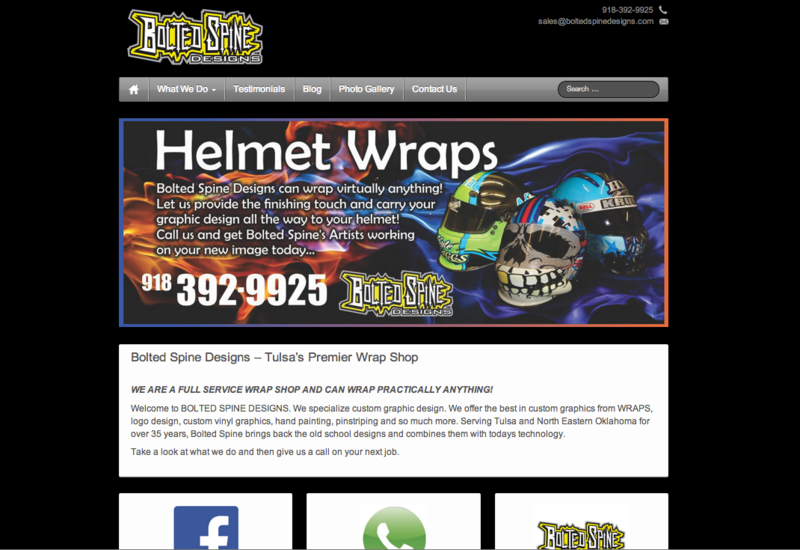 The web is changing – don’t limit how your customers interact and do business with your company! Uilabs has design packages to fit virtually any budget – Contact us today to find out more!